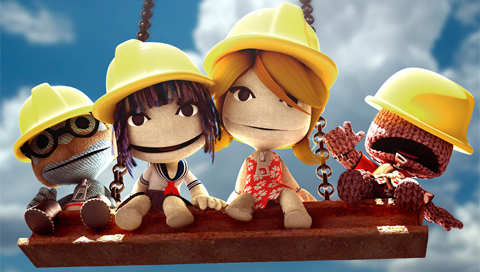 A year after Little Big Planet's release on the Playstation 3, the developers Media Molecule have added a hefty patch that will allow for some streamlined online co-op play. First, the connectivity is better, with matchmaking nicely streamlined for better communication and less lag. With this online streamline patch, online co-op creation finally became a reality. Now, you can sit down with your co-op buddy and create all kinds of worlds together from across the state, to across the ocean. Since you're playing online, both players can go off and do their own thing, instead of being tethered to the same square of the screen. For those without a headset on the PS3, there is an on screen indicator to show your partners whereabouts and what they're up to. This is a great update that we weren't sure we would ever see. Go create something together. Page created in 0.4030 seconds.